Hi-Hills offers a Kinder Camp program, a nurturing environment for children ages three through kindergarten, a traditional Day Camp, for campers ages six through 11, a Teen Travel program for campers aged 12-14 and a Leaders of Tomorrow (LOT) program for campers aged 15-16. 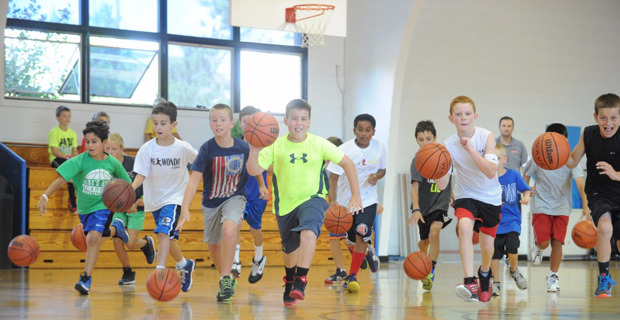 Plus Hi-Hills Day Camp offers an array of summer enrichment, academic and sports programs which can be taken independently or easily combined with a traditional day camp schedule. This incredible “New England” style environment includes an air conditioned athletic center, gymnasium and dining hall, heated outdoor pool, seven tennis courts, the GSB garden, amphitheater, pond for fishing and paddle boating, indoor and outdoor track, playgrounds, soccer, baseball and softball fields and a “SPLASH PAD”. There are no limits to our options for scheduling - Hi-Hills is the most flexible in the area. You choose the weeks or days that suit your needs. Take advantage of Hi-Hills’ half-day option and combine it with a half day enrichment program. Before and after care options are available. Daily-catered lunch service by FLIK Dining Services along with door-to-door transportation throughout Morris, Somerset, Hunterdon, Warren, Sussex, Union and Essex counties. Since 1966, Hi-Hills has focused on the overall development and growth of children in a fun, safe and supportive environment. 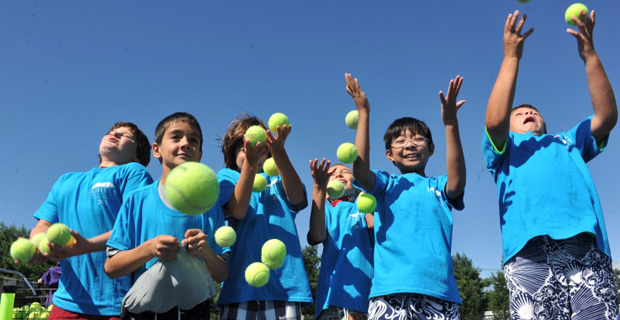 Each year, campers are encouraged to explore a wide variety of activities and develop new skills. Our extensive range of exciting programs are tailored and varied to meet the specific needs of each age group. Specialty programs include daily instructional and free swim, sports, fine arts, performing arts, nature program and special events. At Hi-Hills we pride ourselves on the quality of our staff. Hi-Hills staff are the measure of success for camp and are trained every year to encourage, nurture and support campers to ultimately make a difference in the lives of the children. The majority of our staff are teachers, coaches and college students specializing in childcare with a supporting staff of high school students over the age of 16. For more information, open house dates or to book a camp tour, please contact Cindy in the Camp office on 908-234-0067 or visit hihills.com.